Over the 227-year course of its modern history, vermouth has been a medicinal tonic, a way to salvage “off” wine, and a crucial component of the martini and the Manhattan. And in some parts of the world, it’s still a popular aperitif: in Italy, where the aromatized fortified wine in its sweet red iteration was first formulated; France, which later countered with a “dry” style; and Spain, where Albert Adrià recently opened Bodega 1900, one of Barcelona’s new wave of trendy vermuterías. In this country, though, the sweet and bitter stuff has mostly been a punch line—especially among martini drinkers for whom dryness has become a virtue, if not a religion. (And who can forget Bill Murray’s palpable disgust at having to swig a glass, ad nauseum, to win Andie MacDowell’s affections in Groundhog Day?) But the tide might be turning. As the cocktail craze has made us rethink proportions (see Audrey Saunders’s unabashedly wet Fitty-Fitty martini at Pegu Club), and craft producers have rediscovered bitters and micro-distilled gin and whiskey, vermouth has become newly relevant. In addition to the archetypical sweet “Italian” and dry “French,” a nascent American style is emerging, one that first materialized on the West Coast and sprouted here more recently. 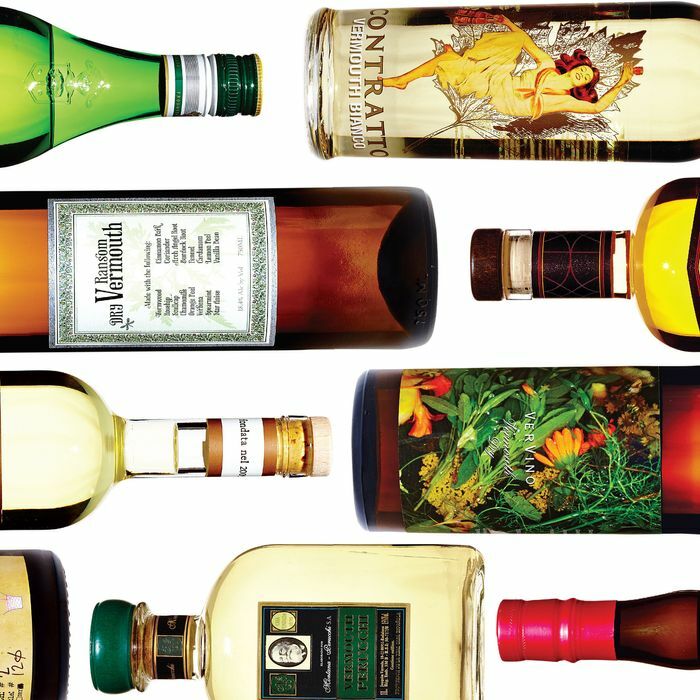 Unbound by tradition—or some might say brashly flouting it—American vermouths can be bracingly dry, assertively piney or herbal, and absent the wormwood that had been the aromatized wine’s defining ingredient. Several new renditions come from innovative wineries like Napa’s Massican and Bridgehampton’s Channing Daughters. But along with the urge to reinvent has come renewed appreciation of the classics—some, like the resuscitated Contratto brand and Carpano Bianco, arriving in the United States just this year. Obsolete no more, vermouth has its own “Institute” at the annual industry blowout Tales of the Cocktail, its own website (devotee Martin Doudoroff’s illuminating vermouth101.com), and its own pride of place on a growing number of bar menus—as an aperitif or showcased in cocktails. Here, a guide to some of the newest entrants in an increasingly crowded field.